Is Anesthesia Still Involved For a Minimally Invasive Facelift? As cosmetic procedures continue to gain popularity, so does the need for safer, more efficient ways to keep the patient comfortable while lowering the risks of general anesthesia. Before having any cosmetic procedure, it’s important that patients consider the type of anesthesia the surgeon prefers. If the surgeon you chose only uses general anesthesia and you prefer local, you may need to look elsewhere. And that’s not because that surgeon isn’t qualified, but there are many cosmetic procedures that can be performed safely under local anesthesia. When a patient goes under general anesthesia, they are usually placed on a respirator with an endotracheal tube down their throat. They are given a combination of medication that causes them to fall into a deep sleep and causes temporary paralysis. While some patients do prefer general anesthesia, others are afraid to go under. In these cases, it's best to find a surgeon who prefers local anesthesia and can recommend procedures that can help you achieve your aesthetic goals. There are a variety of procedures that improve or change your face and body. When you meet with your surgeon, you need to be honest about what you are hoping to achieve. You also need to be willing to listen to their recommendations. Your surgeon may offer several different procedures to help you achieve the results you want. With newer technologies, minimally invasive cosmetic procedures, such as laser resurfacing, are now performed easier with shorter downtimes than previously. Most cosmetic procedures performed under local anesthesia can be performed on an outpatient basis. Fine lines and wrinkles disappear with today’s laser technology. Previously, laser resurfacing meant the patient was put under general anesthesia and then also had a lengthy recovery period. Modern-day technology cuts both the procedure time and recovery period in half. And if the patient only has local anesthesia, they avoid many unwanted side effects that often accompany general anesthesia. As we get older, we start to develop under eye bags or excessive drooping of the upper eyelids. When surgeon use only local anesthesia, patients can go home the same day without the ill effects of going under anesthesia. Topical anesthesia and injectable anesthetic make both procedures painless for the patient. Believe it or not, it's now possible to have a mini facelift without going under anesthesia. Surgeons are now able to inject a local anesthetic and using endoscopic instruments, perform a mini facelift that corrects midface drooping and jowl formation. Using local anesthesia not only reduces the recovery time but also costs less than a surgical procedure performed under general anesthesia. There are still cosmetic procedures that warrant the use of general anesthesia. Tummy tucks, breast augmentation and full facelifts are invasive procedures, so the patient will need to go under general anesthesia. Keep in mind though that many minimally invasive procedures can produce the same result. For example, patients suffering from abdominal skin laxity may benefit from laser treatment such as ThermiTight. In addition, patients who want a facelift but are not ready for a full facelift can replace lost volume and fill in fine lines and wrinkles with dermal fillers, such as Juvederm, Restylane and Voluma. Botox injections can lift your brow, erase lines in your forehead and soften furrows in between your eyebrows. Fatty deposits on your hips and abdomen that don't respond to diet and exercise can be treated with liposuction. You can even change the shape of your nose with strategically injected dermal filler. During your consultation, your surgeon will perform a physical exam and take a detailed medical history from you. They will also ask you what your aesthetic goals are and then address your areas of concern. Photography and computerized imaging will give you an idea of what you may look like after your chosen procedure. Take this time to ask any questions and don’t’ be afraid if you need further clarification. Even minimally invasive surgery has its own set of risks, so it’s important that you completely understand the procedure and the recovery period. Above all else, you need to find a surgeon you feel comfortable with and is honest about what he or she can do for you. Never let price or the fact that you are hesitant to go under anesthesia be the deciding factor. Cosmetic surgery can enhance and reshape both your face and body to improve your confidence and boost self-esteem. Healthy individuals with a realistic outlook are the best candidates for any cosmetic procedure. Since plastic surgery is a personal choice, it should only be done for yourself, not to meet the expectations of someone else. 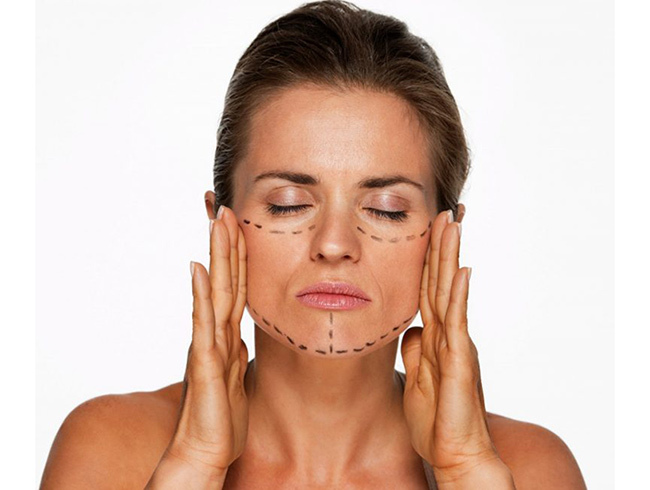 Plastic Surgery Institute of Miami is a world-class cosmetic surgery practice of Drs. Altman, Ghersi and Oeltjen serving patients in South Florida. Each surgeon is board certified by the American Board of Plastic Surgery and has thousands of hours performing cosmetic and plastic surgery on patients around the globe.